Once again we have to give thanks to our clients and subscribers! Without you, we wouldn’t be where we are today! Thank you! In this month’s digital update, we look at review stars in the SERP’s, organic listings losing ground, mobile-first indexing, and more. Get your bibs ready, it may get messy! It’s the start of the 4th Quarter, the game is on the line. We need to make sure our marketing efforts lead us to victory before time runs out! In this month’s digital update, we look at Twitter Tweet Length, Pillar Pages for SEO, Tracking Local Traffic, and more. It’s the last month of Quarter 3 of 2017 and we’re hoping we don’t see any Christmas lights for at least another month. Fingers crossed! In this month’s digital update, we look at Secure Websites, Fighting Fake News, Going Beyond Google, and more. Jump in like it’s a pile of leaves! Summer just started, so why does it feel like it is almost over? Or is it just us that feels this way? Whatever the case, let’s dig into our newsletter. In this month’s digital update, we look at Message Match, SEO’s Place in the Timeline, Google Algorithms, and more. 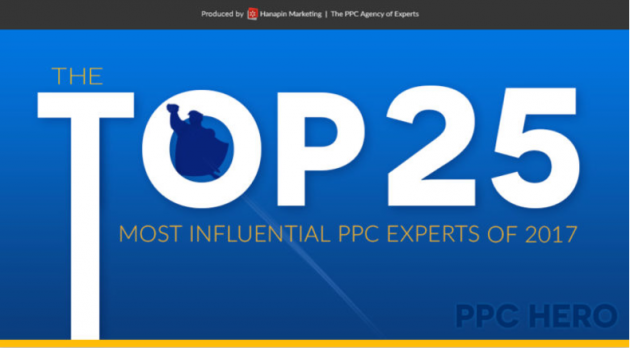 PPC Hero just released their annual “Top 25 Most Influential PPC Experts” list for 2017. 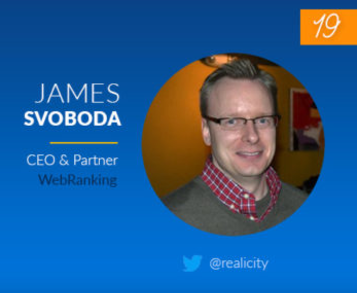 Our very own James Svoboda made the list again for the 4th time, this year ranking 19th. It’s humbling to be recognized by others in your industry and a great honor to make the list. Who decided to put the 4th of July on a Tuesday this year? 2 off, 1 on, 1 off, 3 on…that’s a tough schedule to like! Anyhow, we hope you made it back to the office with all your fingers. SMX Advanced is a high-level search engine marketing conference that takes place in Seattle every year in June. This was the 11th year and I was honored by being invited to participate again! Ginny Marvin from Marketing Land moderated the “A Year of Change In The Online Ad Universe” session for which my presentation is titled “Welcome to the New Normal of Paid Search Ads“. It’s a detailed look at the changes in pay per click marketing over the past year and how they affect paid search ads. A few days ago, we received a request for a quote for ranking a handful of very specific keyword phrases. As it was towards the end of the day, I responded back to the lead letting him know that we don’t give quotes for ranking specific keywords, that we don’t have set in stone one size fits all pricing and that each quote is typically backed by a quick site audit and competitive analysis, which I would be happy to provide. I asked if we could schedule a time to talk the next day, so that I could learn more about their company, their online goals, and what they ultimately were looking to achieve through SEO. Picking an Digital Marketing Agency isn’t as simple as swiping left or right. More flexible? Um, ok. Great if you are a gymnast or yoga enthusiast, but not necessarily a key trait for selecting an SEO agency. Is flexibility something you want out of your accountant, lawyer or doctor? Now that we have our winter clothes offically in storage, we’re excited to see what summer 2017 brings! We hope you are as well. In this month’s digital update, we look at Lessons from Voice Search, Local SEO Tips, Yelp, and more.